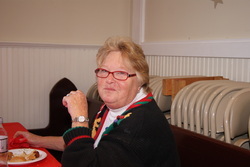 Edith has been the Parish Administrator of St. Thomas for 17 years. With a grin she says, "I have trained 3 Rectors." For your administrative needs and questions, please contact Edith at 843-747-0479 or email her at saintthomasparkcircle@gmail.com or use the Contact Form.